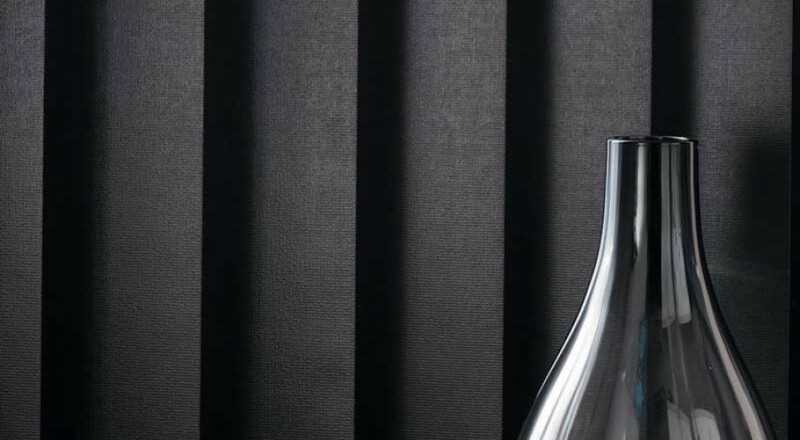 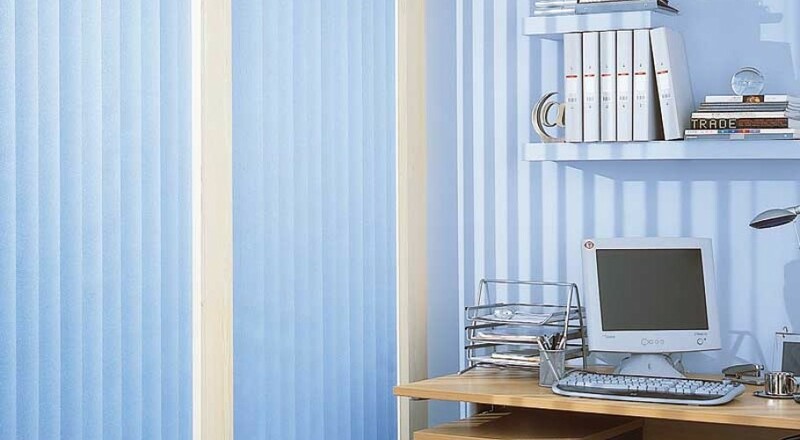 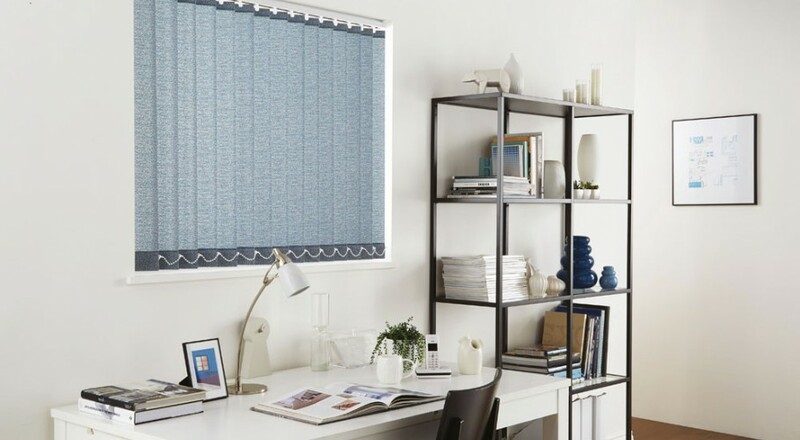 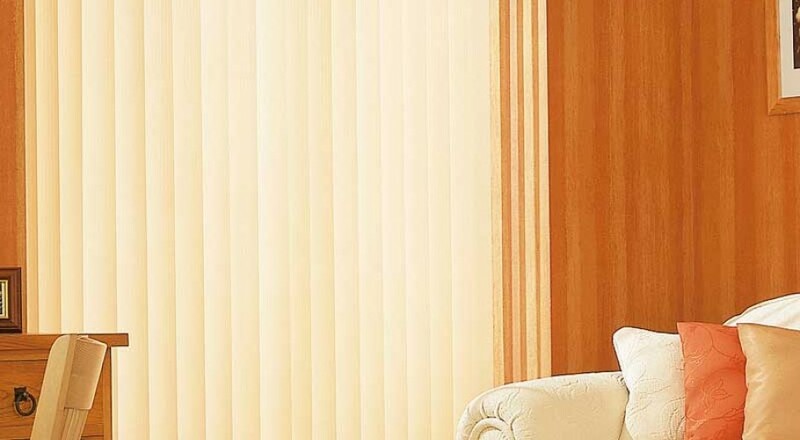 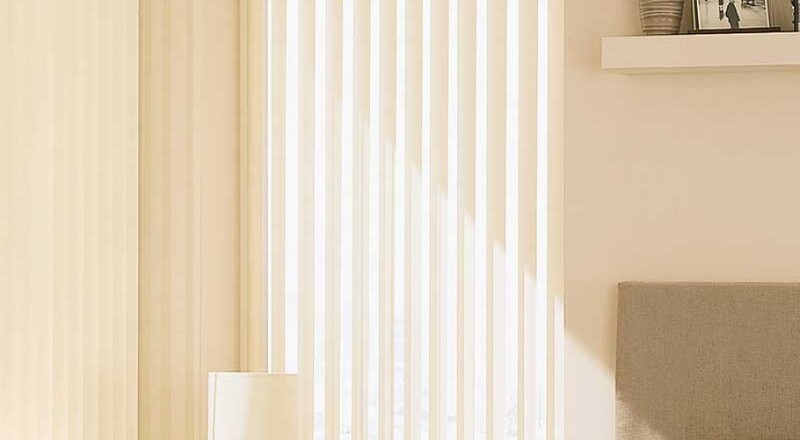 Our made to measure vertical blinds are probably the most flexible shading option of any window blind, due to their flexibility in length and width. 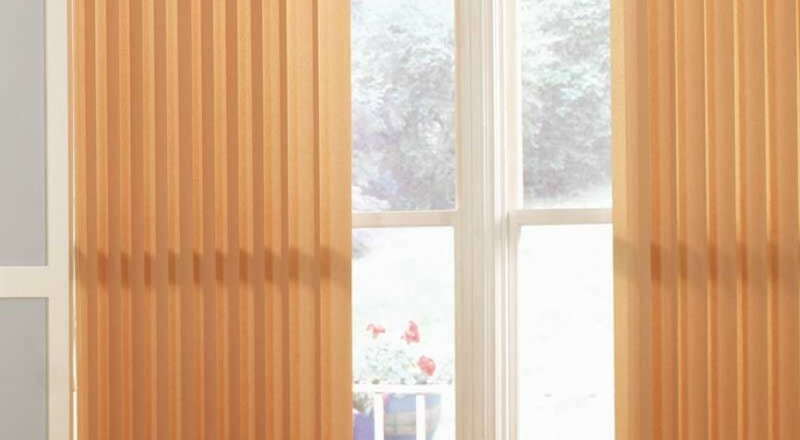 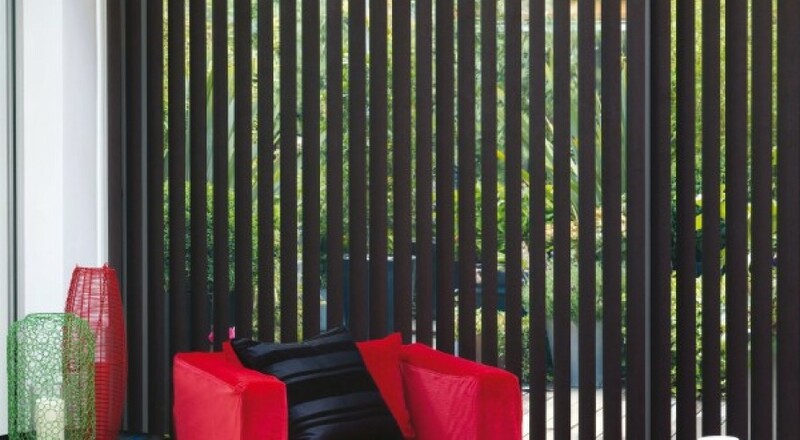 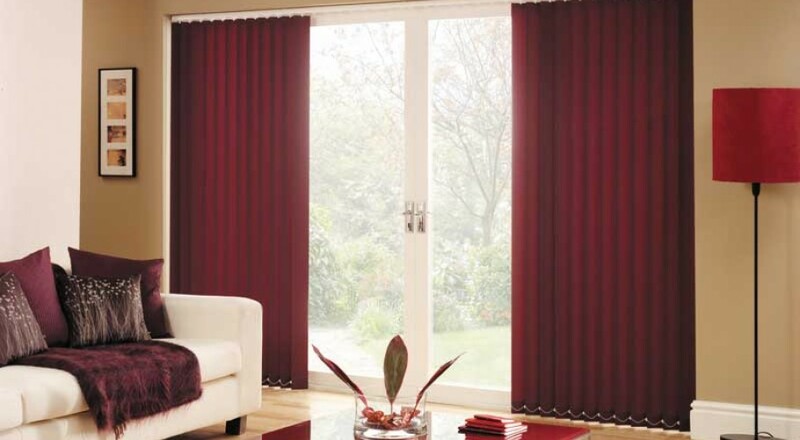 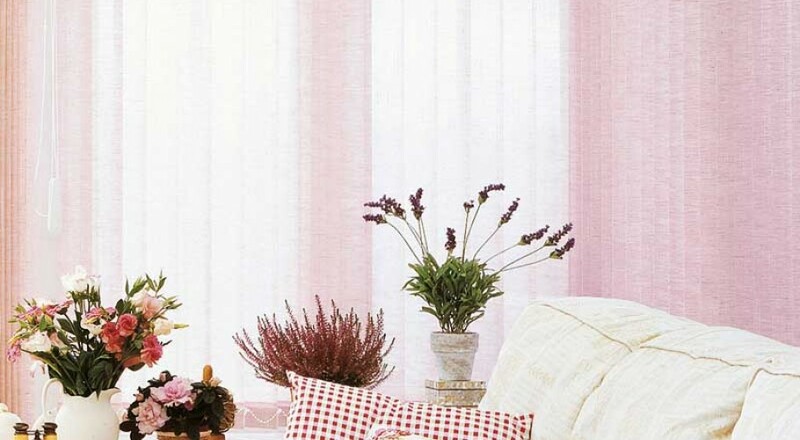 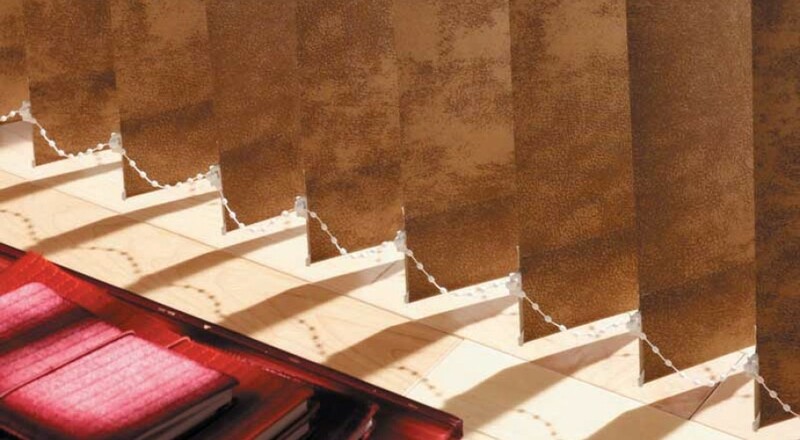 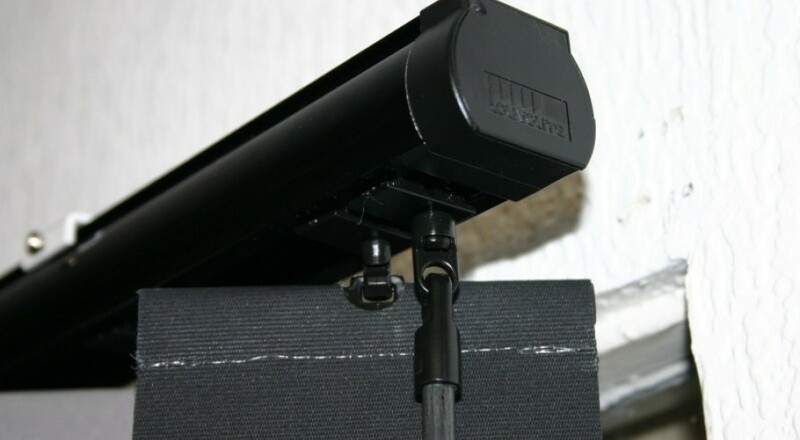 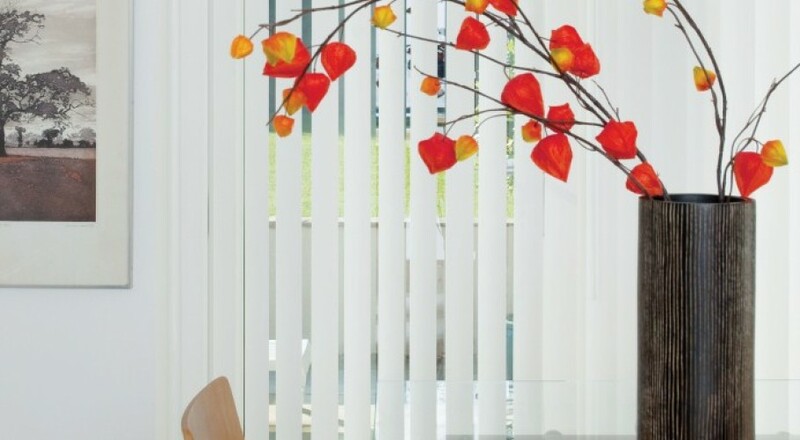 A common replacement for net curtains or voiles, vertical blinds have louvres which can rotate through 180 degrees and can be extended or retracted along the length of the track - similar to a pair of curtains. 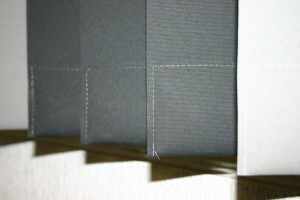 Each louvre is hung with a weight to ensure the fabric sits nicely alongside the window, and a chain is used at the bottom to stop the louvres from swinging apart. 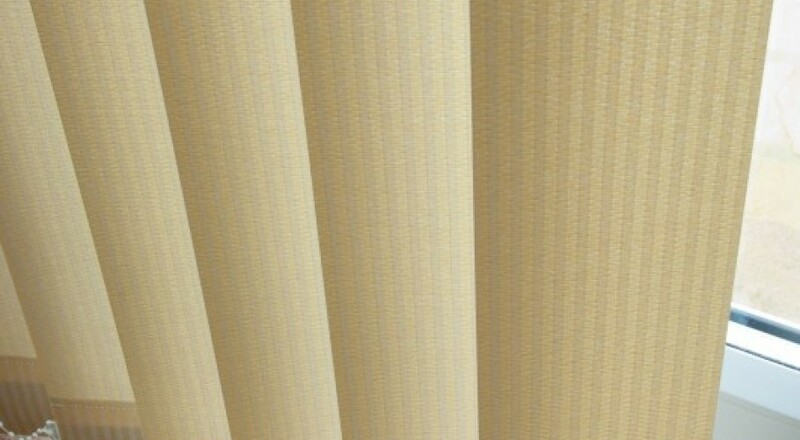 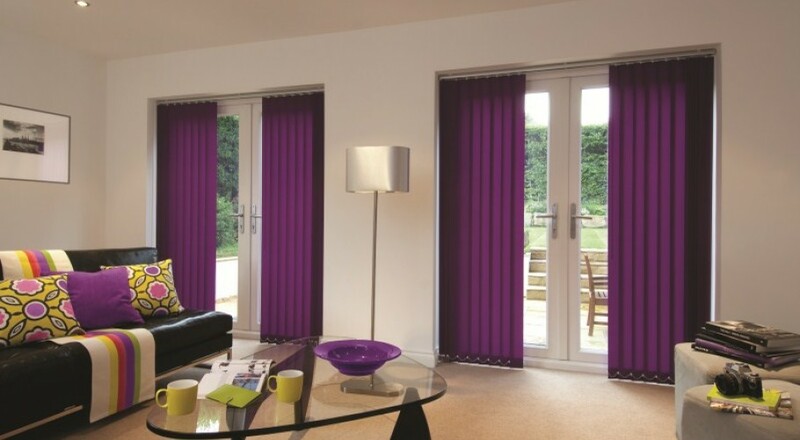 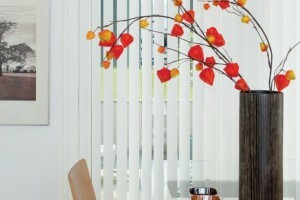 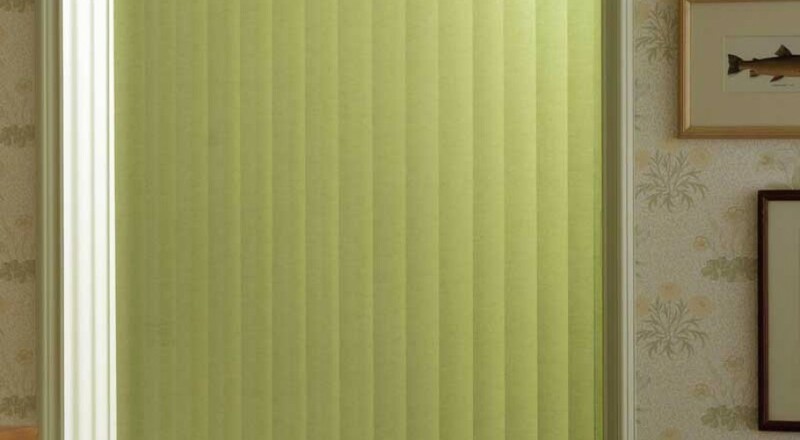 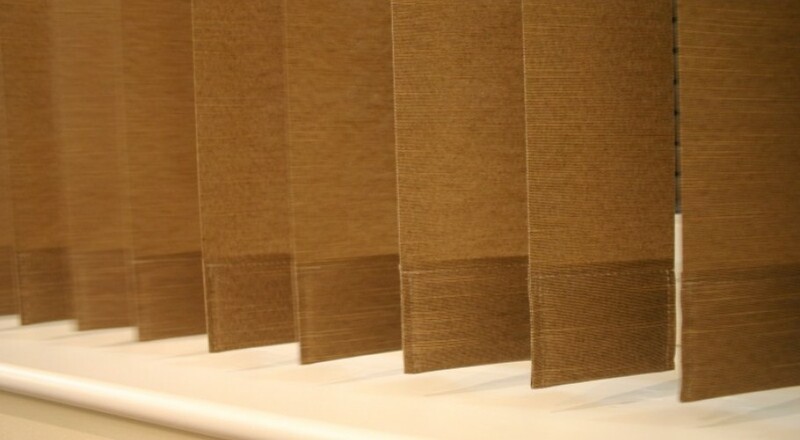 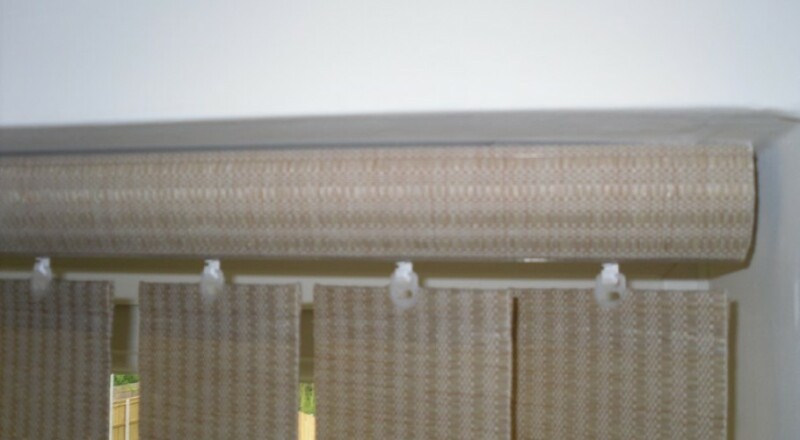 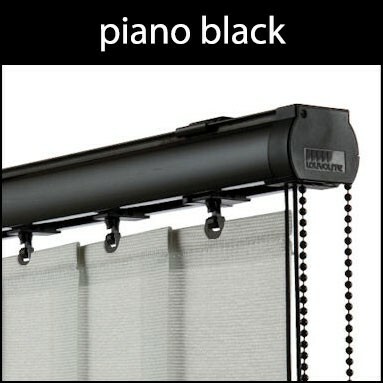 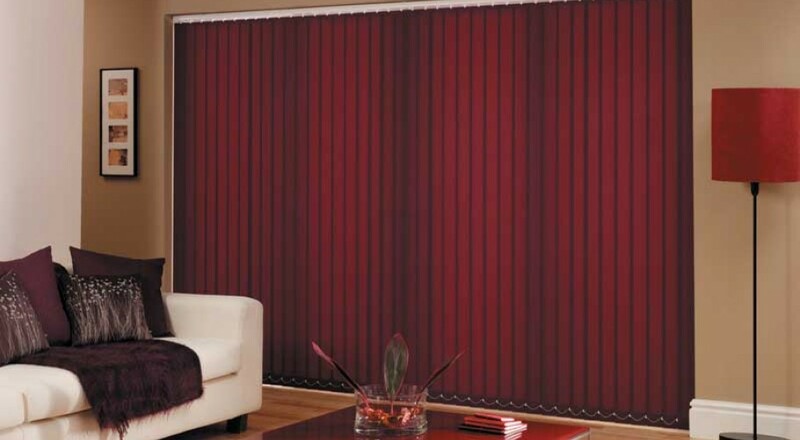 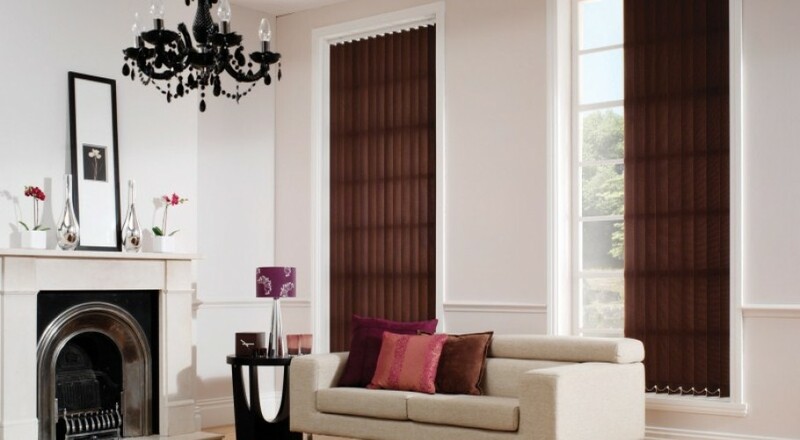 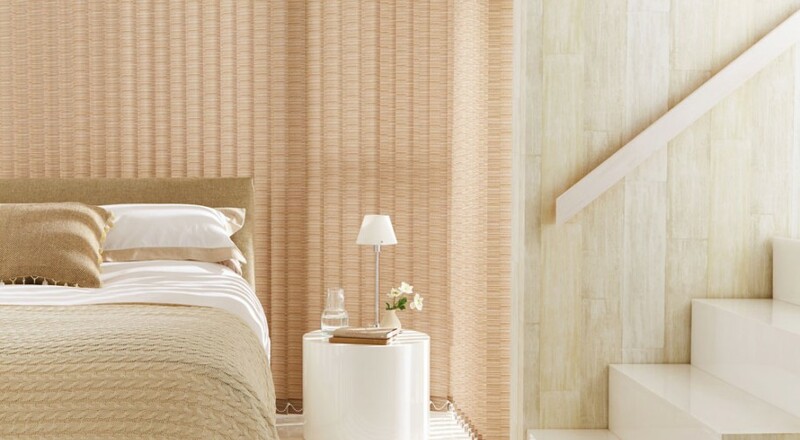 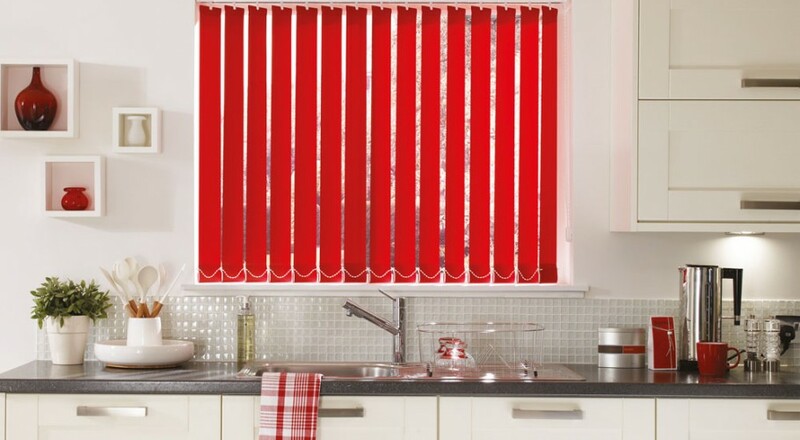 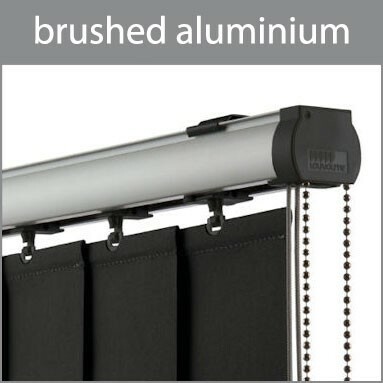 Choices are varied with vertical blinds. 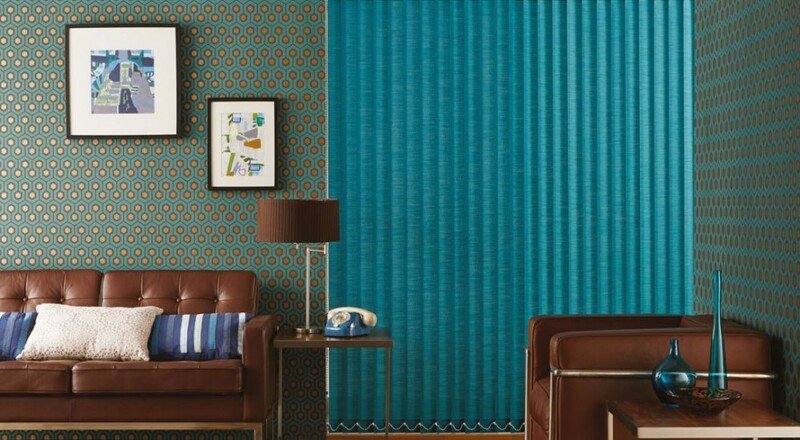 You can have a 3.5" or 5" louvre width, and the choice of colours, textures and fabrics is huge. 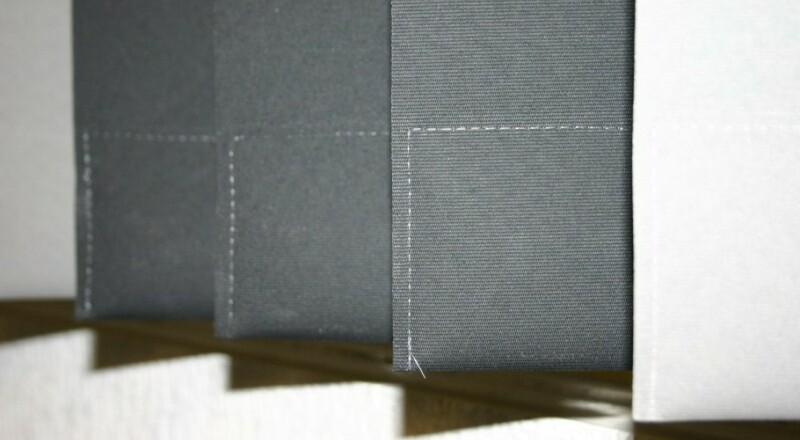 We machine stitch all of our louvres - not all manufacturers do this (many will glue or bond them), which means they are durable and long lasting. 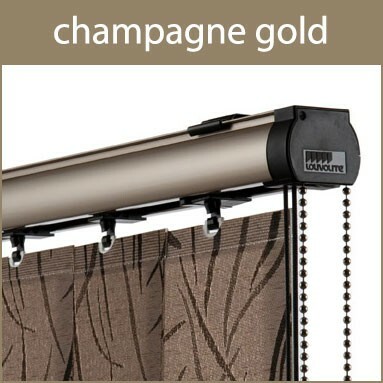 We also have a wide range of headrails: White, brown, platinum, piano black, champagne gold, Vogue headrail Slimline, equal spacing system. 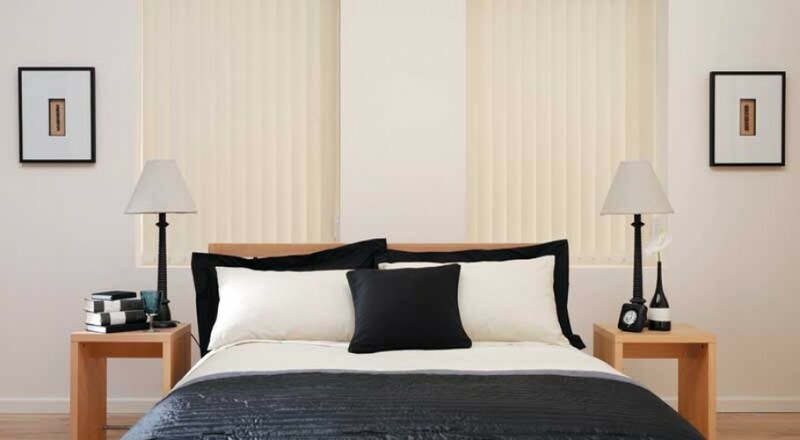 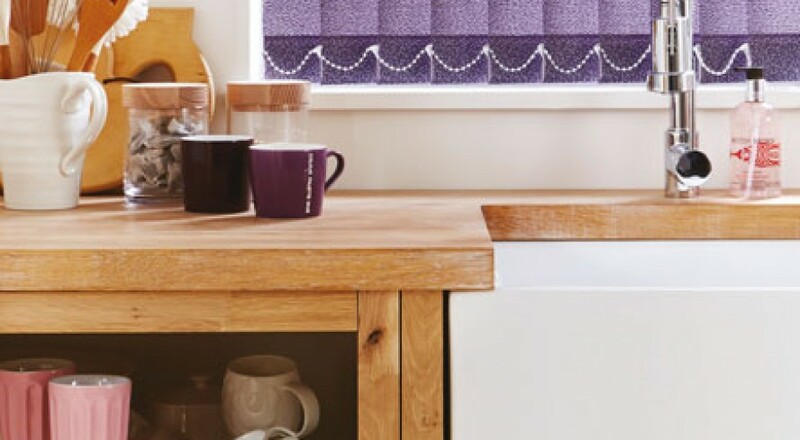 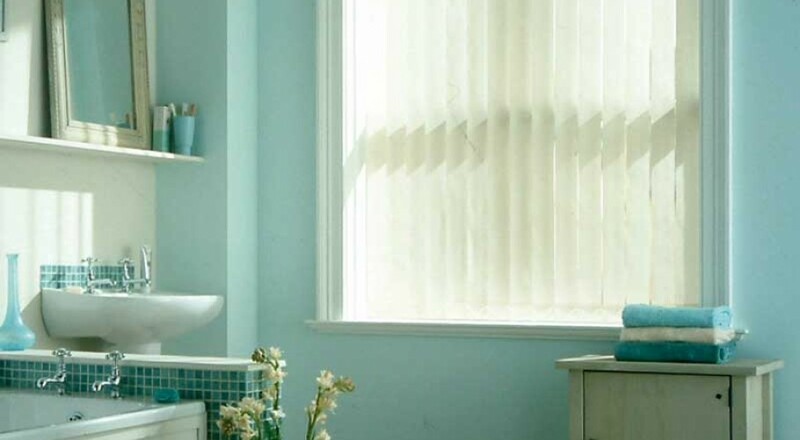 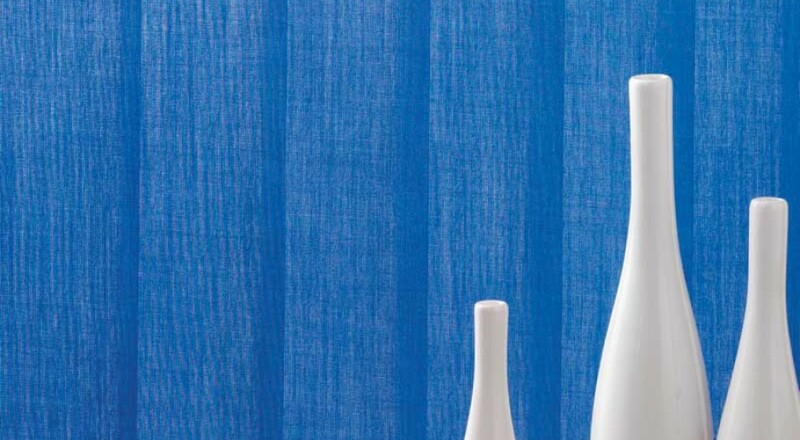 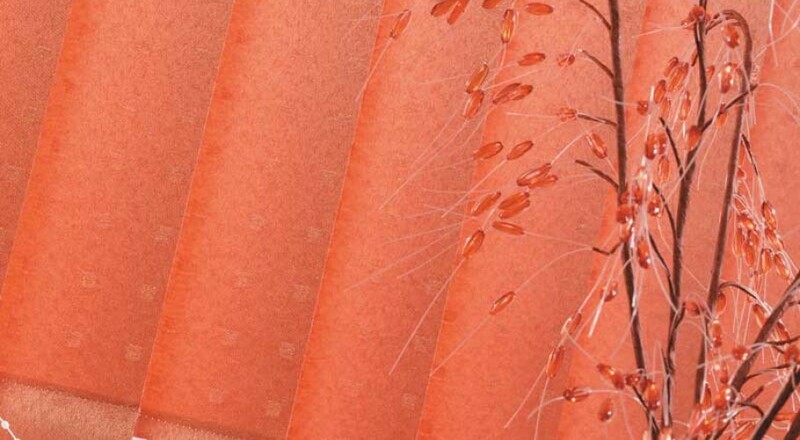 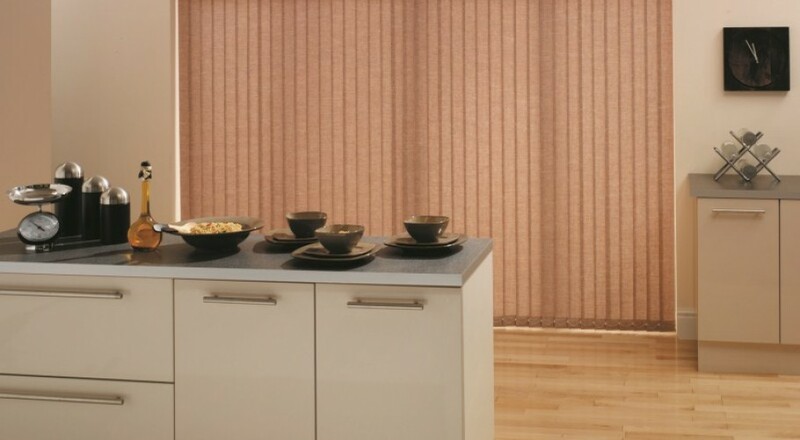 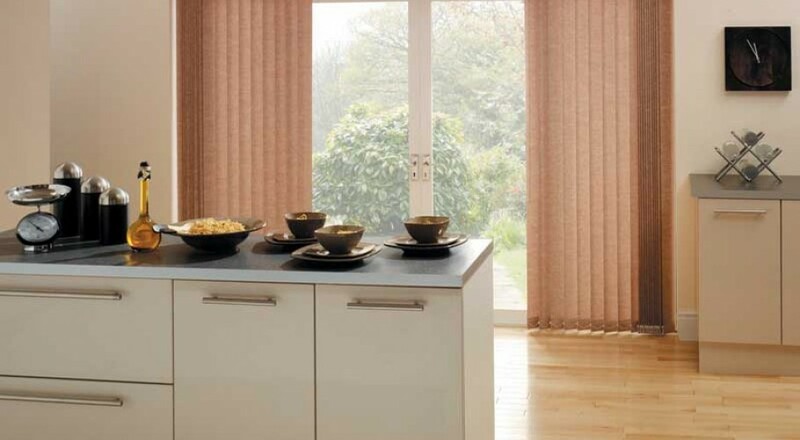 Our vertical blinds are available with optional valance fabric co-ordinating with your blind fabric or contrasting to introduce another colour. 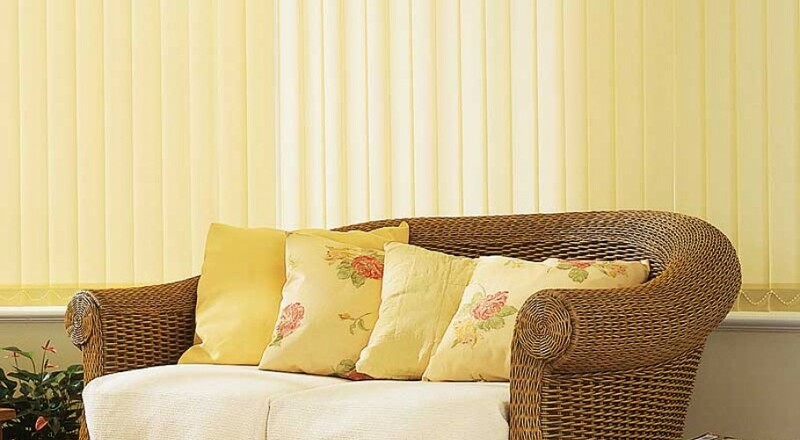 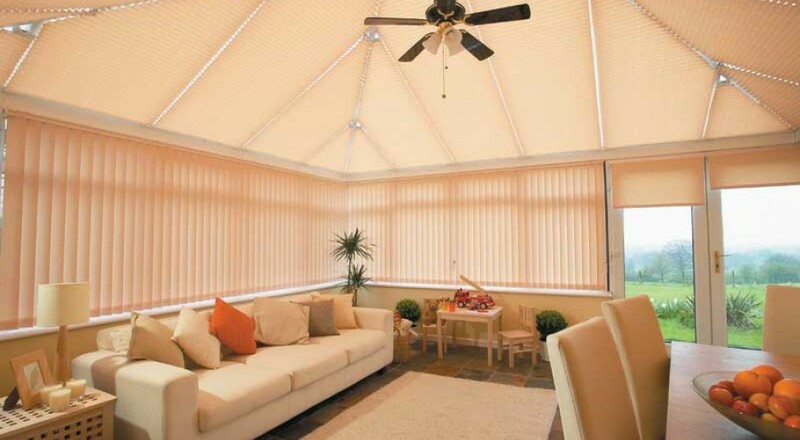 Verticals can also be used for curved / angled / box bays and sloping sides for conservatories.